There are many different types of headaches. Although not all headaches are the same, they all share at least one thing in common – they cause pain. Some people only experience pain in one part of their head or behind their eyes, while some people experience a pounding sensation inside their entire head. And some headache sufferers also experience other unwanted symptoms, including nausea and vomiting. The pain itself may be dull or sharp and may last for anywhere from a few minutes to a few days. Headaches vary in their presentation and are usually categorized by their unique signs and symptoms. 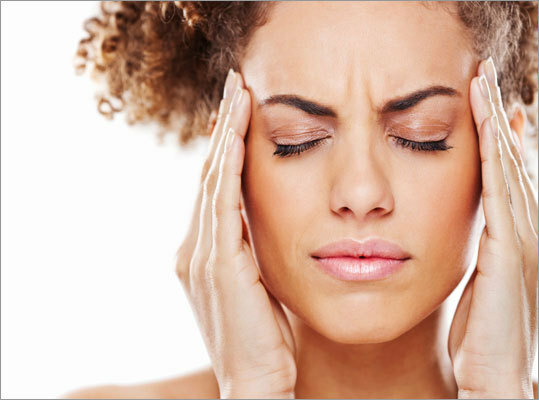 These include: migraine headaches, tension headaches, cervicogenic headaches, cluster headaches and sinus headaches. The good news is that chiropractic is a safe and effective in treating many of these types of headaches, especially tension, cervicogenic and even migraines. Each individual’s case is different and requires a thorough evaluation before a proper course of chiropractic care can be determined. However, in most cases of tension and cervicogenic headaches, significant improvement can be attained through manipulation of the upper two cervical vertebrae, coupled with adjustments to the junction between the cervical and thoracic spine. This may also be helpful in cases of migraine headaches, as long as food and lifestyle triggers are avoided as well.